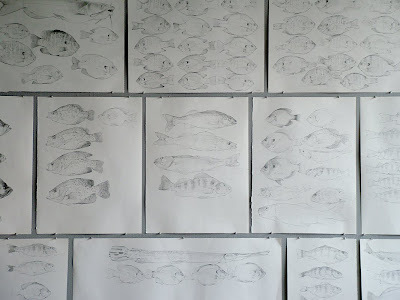 I have a show at UW-Rock County up now until mid-March. 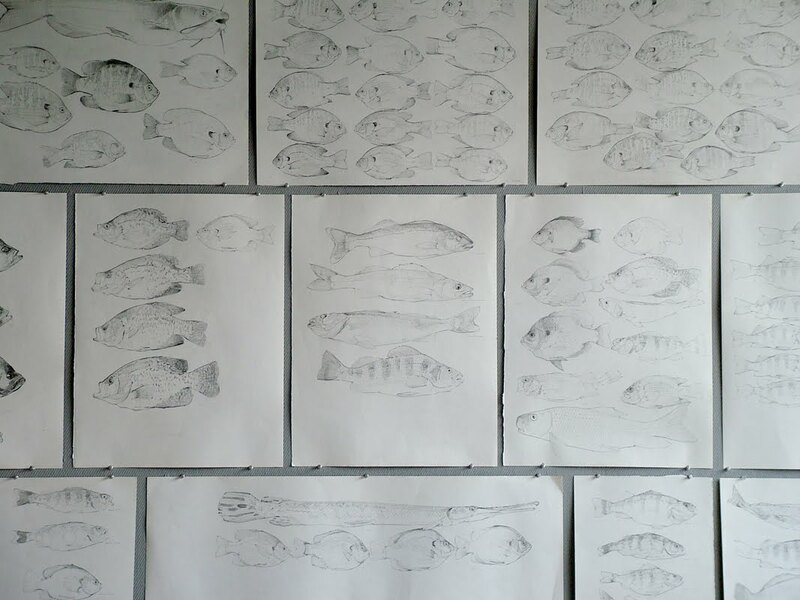 I have around 30 paintings and an installation of all the drawings of fish I have kept in the last year. I think it is cool to see all of them together.